Before I start this review, I just wanted to express my deepest sympathy for the victims of the theater shooting in Colorado over the weekend. It may almost seem like a cliche at this point, but, as someone who spends a lot of time in theaters, I can’t imagine what that must’ve been like. 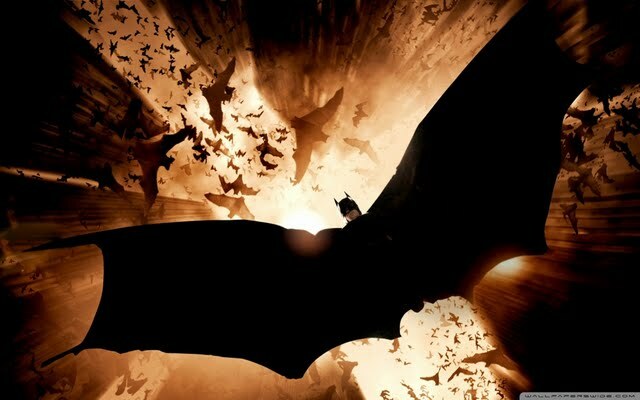 Concerning “The Dark Knight Rises,” I went into the midnight showing trying to restrain my expectations. I think a lot of people went into this film expecting it to be better than 2008’s “The Dark Knight,” which really didn’t work out for them. This film picks up 8 years after the events of its predecessor. Bruce Wayne (Christian Bale) has become a bit of a recluse after hanging up his cowl. With Wayne out of the public eye, his butler Alfred (Michael Caine) remains his lone connection to the outside world. 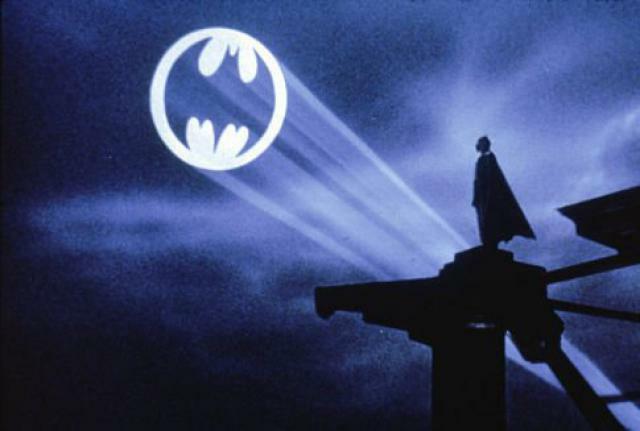 Commissioner Gordon (Gary Oldman) is the “war hero” biding his time before the mayor forces him into retirement. To make a long story short, Gotham is (mostly) crime-free and boring. Enter Bane (Tom Hardy), a masked mercenary with devout followers who sets his sights on the destruction of Gotham. With the emergence of a new super-villain, Wayne feels the need to return to his crime-fighting ways. 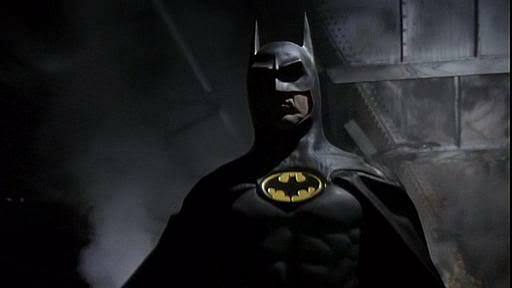 The film returns with its amazing cast, but several key additions are brought in to tell a broader Batman tale. Joseph Gordon-Levitt plays a young cop named John Blake that Gordon takes under his wing. Marion Cotillard, in a slightly under-developed role, is Miranda Tate, a key board member at Wayne Enterprises. Also joining the cast is Anne Hathaway in a surprisingly great performance as Selina Kyle/Catwoman. Given the casting list, great performances shouldn’t be too surprising. There is one scene with Cotillard near the end, though, that looks like high school theater class. I wish I could get more specific, but that would reveal some heavy spoilers. I remember when “Batman Begins” first came out, one of the biggest complaints was that director Christopher Nolan had no idea how to shoot an action sequence. Two Batman films later, I’m happy to report that there are a couple of great fights in this film. One scene between Batman and Bane in the sewers is great because it says so much about the characters while still being a great fight sequence. My favorite thing about “The Dark Knight Rises” is the story. The beginning feels like “The Dark Knight Returns” with Batman coming out of retirement. There are other references to comics as well, but the main thing here is just how ambitious the plot is. “The Avengers” was interesting because, among other reasons, it tried the unthinkable with assembling characters together. This film is groundbreaking in a different kind of way. The dreary atmosphere, the abandonment of all things good and the embrace of evil make this the darkest chapter in the trilogy. Unfortunately, the plot is also where the film is the most vulnerable. Since the story is so vast, carrying across continents and shooting for such great heights, it also leaves more plot holes than previous installments. That “realism” everyone was going crazy about in 2008 is only a hollow shell here. 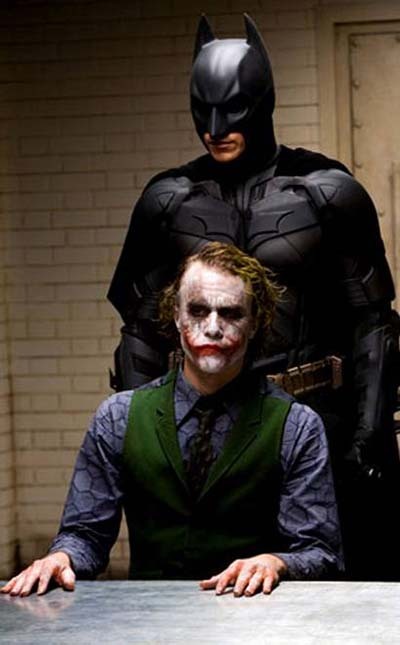 I’m not saying “The Dark Knight” was perfect, but it hid its flaws better than this film. The beginning and ending of the film is where people will divide over its quality. I think everyone agrees the middle is pretty great. The first hour is a little slower than your average man-in-tights flick, but it’s mainly due to so many new characters and that 8-year gap between films. The ending, on the other hand, splits the audience because there are a few revelations that you will find either very satisfying or sloppy and unbelievable. I can’t really tell you which camp you’ll fall into, but I was pretty satisfied walking out of the theater. It can’t be reiterated enough that this is not “The Dark Knight.” There is no Joker or Heath Ledger and lightning doesn’t always strike the same place twice. That being said, I think this fits very well within Christopher Nolan’s trilogy. So, I’m kind of a nerd. Kind of obvious from the whole movie blog thing, but I’m even moreso when it comes to my favorite comic book character, Batman. I grew up watching “Batman: The Animated Series” which originally ran from 1992-1995 and, to a lesser extent, “Batman Beyond” (1999-2001). While I read some of the comics off and on, those cartoons were my source material of choice. 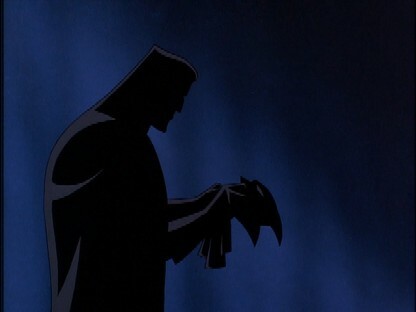 So it only makes sense to start off my Batman countdown with my favorite animated films. Not counting several Justice League films (all of which I would recommend if that’s your cup of tea), there have been a few animated films released in the last 20 years that I have enjoyed. These are great additions to the live action stories I’ll mention in later posts because they explore stories that would be too difficult to tell in a big Hollywood production. The average runtime is about 75 minutes, so it’s not much of a time commitment either. 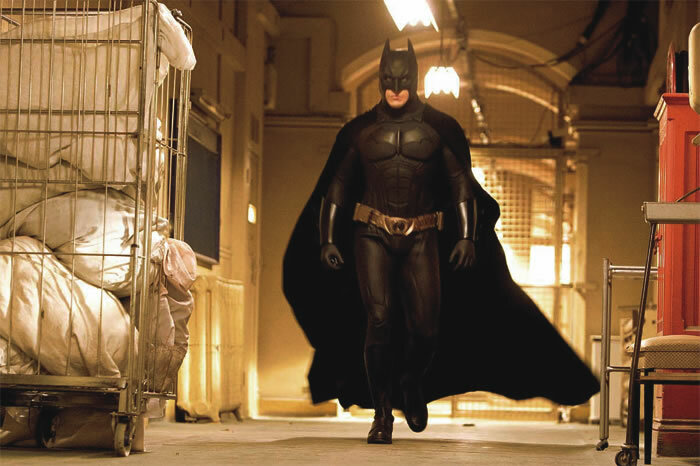 Before “Batman Begins,” there weren’t really any movies that told the story of Bruce Wayne’s transformation into Batman. While “Mask of the Phantasm” doesn’t show as much as “Begins” (as far as Bruce ordering the parts and such), we do get to see Bruce as a vigilante. There is also a strong theme surrounding the oath Bruce took after the death of his parents. We see the things he is forced to leave behind in order to don the cape and cowl and the inner turmoil he suffers because of it. On top of this, the story sees a new vigilante that has come into town. One who is not afraid to break Batman’s one rule. Between the Phantasm taking out gangsters left and right and the story’s inclusion of the Joker, the film is pretty dark for an animated film. I consider “Batman: Mask of the Phantasm” to be the best of the animated films for its action scenes and its development of the story and characters. As much as I have always enjoyed Batman cartoons (not to be confused with the animated films), they always seemed a little too safe for a Batman story. People rarely, if ever, die and there’s almost always a happy ending. That’s why I was pleasantly surprised with “Under the Red Hood.” It’s a great adventure for characters in the Batman universe and its more violent than probably any other of his animated films. The film is basically centered around three individuals: Batman, Jason Todd (the 2nd Robin for those unfamiliar) and, of course, the Joker. Without spoiling too much of the film, its plot shares a few elements with “Mask of the Phantasm.” A newcomer to Gotham challenges the local crime syndicates and takes over the drug trade by killing off the competition. Obviously, this puts him in Batman’s cross hairs. 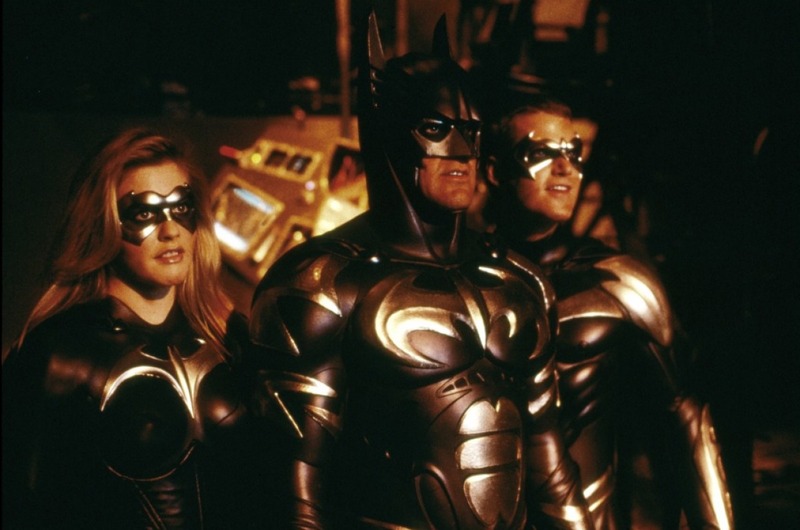 Also featuring characters like Black Mask, Nightwing and Ra’s al Ghul, the film shows a side of the Batman story that isn’t always featured in the live action films. With a great story, dark tone and interesting characters, it’s easily the 2nd best of the animated films. I only used this post to talk about these two films, but other recommendation of mine would be “Batman: Year One” (very similar story to “Batman Begins”) and “Superman/Batman: Apocalypse” (more of a Superman story, but still great). And for those of you who are Batman fans and enjoy these animated films, there will be another Batman film this fall based on Frank Miller’s “The Dark Knight Returns,” which is excellent. That’s all for this first part of the countdown. Next I’ll talk about the Burton and Schumacher films. Rule number one when going head-to-head with a Mexican drug cartel: don’t lose your head. Director Oliver Stone has been known for making some pretty hard-hitting films over the years, including “Natural Born Killers,” “Platoon” and “Born on the Fourth of July.” Lately, though, the man has fallen to the ranks of an average director. I’ve never been a big fan of his work, but I was hoping “Savages” would be Stone’s return to form. I hate when great directors get older and start to lose their touch (see: John Carpenter). The film, however, ends up being a mixed bag. “Savages” is the story of Ben (Aaron Johnson), Chon (Taylor Kitsch), their shared girlfriend Ophelia (Blake Lively) and their booming drug business. After creating a quality stash of marijuana, Ben sets up a full business in Southern California and uses his best friend, and ex-soldier, Chon as his muscle. Ophelia, or “O” as she likes to be called, doesn’t do much of anything other than drugs and the two of them. The three of them seem to be happy until the Mexican cartels come up north and threaten their mostly violence-free setup. When negotiations break down, the head of the cartel (Salma Hayek) has her top henchman (Benicio Del Toro), kidnap O. This leads the boys on a wild rescue mission that tests their relationship with each other and O.
I can’t think of much worse ways to start a film off than to have Blake Lively unleash several minutes’ worth of narration. Not only is it kind of lazy, but even half of the lines she’s delivering are rough. Not a great start. The film does eventually pick up about 15 minutes in and things finally get under way, but there was defnitely a bad taste left in my mouth. “Savages” isn’t the action film one might think based on the trailer, but it unleashes heavy amounts of violence in small doses. Torture scenes, explosions and assassinations permeate the film and range from exhilirating to borderline nausea. The man who is guiding a lot of those tense scenes is Benicio Del Toro’s character, Lado. The audience is introduced to this madman as his hit squad “lawn service” is visiting a dirty lawyer’s house. It doesn’t end well. Del Toro plays the character as sort of an Anton Chigurh with the viciousness of a Mexican cartel. His scene with the lawyer and a later one with John Travolta (who seems to be loving his role) are both filled to the brim with tension. Although the veteran actors in the film (Hayek and Demian Bichir included) do their best to work with the script, there are simply too many characters and the film doesn’t have time to work on everybody. It’s sad because reports indicate that two of the film’s minor storylines were completely cut from the film already just to make room for the final product. The well-established actors can fend for themselves in the film, but the trio of protagonists suffer the most. Aaron Johnson does what he can with the little room he is given while Kitsch and Lively try to re-define “paper thin” with the help of a weak script. It probably doesn’t help that O is written as a very unsympathetic, annoying character from the start. At least Chon is fairly likable. Unfortunately, even a director like Oliver Stone is unable to piece it all together in the end. Instead he signs off on one of the dumbest endings in recent memory, which put the nail in the coffin for me. “Savages” could have been a great crime thriller with a little pulp, but there is too much junk mixed in with the good stuff to really enjoy it. If there was ever a writer/director who could capture all the awkwardness of a middle school couple in love, it would be Wes Anderson. Sam (Jared Gilman) is a loner boy scout with less-than-adequate foster parents. Suzy (Kara Hayward) is a “troubled child” who loves to read fantasy adventures. Together they make the perfect pair in this quirky little comedy set on a small New England island. After meeting at a church’s rendition of “Noah’s Ark,” the two become pen pals and eventually decide to run away together. Enlisting in the search for Sam and Suzy are her parents (Bill Murray and Frances McDormand), Sam’s troop master (Edward Norton) and the island’s only police presence (Bruce Willis). The first thing I can say about Wes Anderson’s films is that you probably love them or hate them. Each of his films have a certain visual style and their own brand of comedy, so you either think he is a marvelous filmmaker or a hack that is bent on remaking his own movies over and over again. I lean more towards the former. The film is set in 1965 and, as such, kind of looks like it’s being shot through an Instagram filter. Instead of a wannabe photographer behind the camera, Anderson and his crew guide each scene with expertise. He should have the period down well considering most of his movies either take place in that decade or are heavily influenced by it. Once you look past the visual elements of the film, what really stands out are the characters and the script. If you’re into the sort of awkward dry humor found in Anderson’s films, you should love both. Edward Norton and Bruce Willis really deliver in this film. Norton is a “Golly gee willikers! !” type who gets a lot of assistance from his troop of Khaki Scouts throughout the film. He and Willis play like parental figures for Sam as the search for he and Suzy marches on. While these two are great, the film’s leads are excellent given the fact that “Moonrise Kingdom” is the first work either has received. Their characters may be outrageous at times, wielding left-handed scissors against attacking Khaki Scouts or trekking through the forest, but there is something innocent and sweet about their relationship. Some people may get a little weirded out by a certain scene on the beach involving second base, but the kids keep it pretty G-rated the rest of the time. Next up, I’m reviewing the Oliver Stone film “Savages.” Hint: It’s not a glowing endorsement. After that I’ll get around to the Batman reviews I mentioned in my last post. I’m thinking one post on a handful of animated films, one on each film from 1989-1997 and possibly the Nolan films. More on that later. It’s a good thing I wait until the next day to review films. Last night, I went to see “The Amazing Spider-Man” with pretty low expectations. As many people online can point out, this reboot was put together way ahead of any reasonable necessity and a lot of it has to do with studios fighting over the rights to the character. Not exactly a situation that screams quality filmmaking. The story is both very different and vaguely familiar, as its origin story shares a few characteristics with Sam Raimi’s 2002 film. As someone who has really grown to love the character of Peter Parker/Spider-Man, I enjoyed getting to see Andrew Garfield try his hand at it. The film changes much from its source material, but there are so many incarnations of the character, I didn’t really see it as a problem. “The Amazing Spider-Man” tells the first chapter of a trilogy (from what I’ve heard) and, as such, feels the need to tell us how Spider-Man came to be. Peter Parker (Garfield) is still a high school nerd that gets picked on by bullies like Flash Thompson. He loves photography and he is, for the most part, a good guy. The main changes from Tobey Maguire’s portrayal is that Garfield plays a more modern approach to the nerd. He likes to ride a skateboard, is less socially awkward and doesn’t find a way to be late for the bus every morning. Upon visiting Dr. Curtis Connors (Rhys Ifans), a friend of Peter’s parents, at Oscorp, the young hero is bitten by the spider that needs no introduction. Peter finds common ground with the doctor, as he is an expert on crossing species’ genetics and Peter finds himself taking on spider characteristics. Similar to Norman Osborn in the original, Connors finds himself cornered into personally testing a drug that could regrow his long-lost arm using lizard DNA. Since this is a comic book movie, things go awry and Connors slowly changes into The Lizard. Over the course of the movie, Peter is forced to take up his “moral responsibility” and save the citizens of New York before Lizard has an opportunity to create a superior race that will replace mankind. My favorite thing about this movie might be the casting. Tobey Maguire and Kirsten Dunst did their best in the 2002 film, but I cannot stand them being in those roles. I’ve loved Andrew Garfield since 2010’s “Never Let Me Go” and the guy is a HUGE Spider-Man fan, so that’s an easy improvement in my eyes. Emma Stone plays Gwen Stacy rather well also, and the pair have a great chemistry in the film. A supporting cast of Martin Sheen, Sally Field and Denis Leary doesn’t hurt either. As I said before, I loved seeing a different interpretation of the Spider-Man character. He’s witty and animated when under his mask and actually makes a joke that is funny. I had a small problem with moments where Parker was a little too much of a jerk, but the film irons this out eventually. As much as I respect Sam Raimi as a filmmaker and his attempts at this character, it was nice to see something a little less colorful and campy as well. The reason why I started this review off the way I did is because I was pleasantly surprised with this film. It caught me off guard that I actually liked most of it and had a fun experience. But now that I’ve had some time to think about it more, I realize that just exceeding low expectations does not equal a great film. First off, the Lizard is not exactly a top-tier villain. He works okay for the story this film is aiming for (the “untold story” of Peter’s parents) and Rhys Ifans does pretty well with the character, but I think the Green Goblin was a much more interesting choice in 2002. Marc Webb, while responsible for the fun “(500) Days of Summer,” is not exactly the most proven director around. In fact, that is his only other film. All of his other work has been on music videos, which unfortunately shines through during many of the film’s sequences. I won’t go so far as to call his work here soulless like others have, but a little more craftsmanship and heart would’ve gone a long way. I could probably ramble on for a while with this film, as I’m of two minds about it, but I’ll sum it up with this: “The Amazing Spider-Man” is fun, well-acted and takes on a refreshingly darker tone than its predecessors, but it suffers from mediocre directing and a somewhat-flawed script. 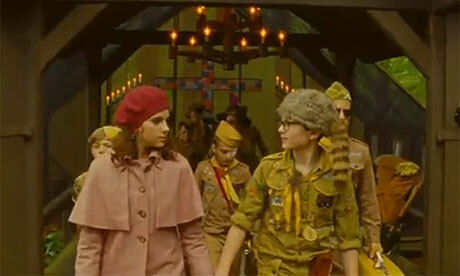 I’m hoping to review Wes Anderson’s “Moonrise Kingdom” here in the next couple of days. 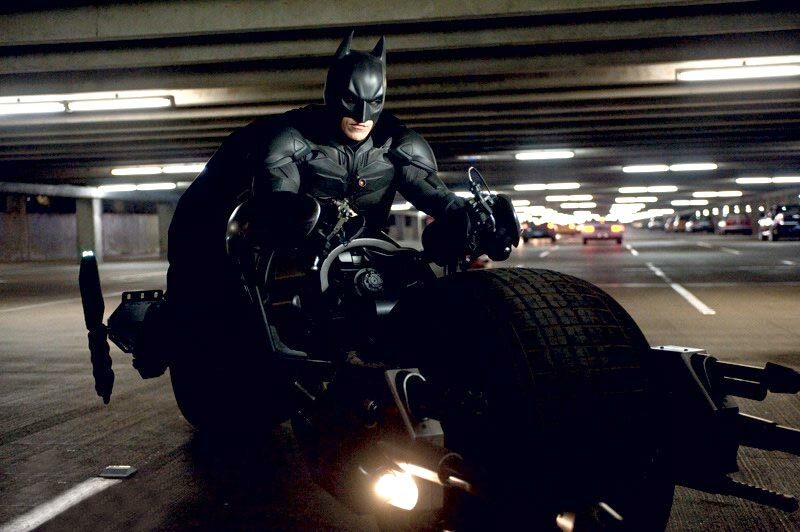 After that, there isn’t a whole lot coming out between now and July 20 when “The Dark Knight Rises” hits theaters. I’m thinking about running through all of the Batman films and reviewing them. We’ll see what happens.